Real estate photography is one of the best ways to earn an income from your photography, and the good news is that it's a market with FAR less competition than portrait photography. It also provides a way for photographers to book many shoots with just one client. But getting started in real estate photography can be tricky. You have to figure out your pricing, get the legal side of your business set up, and you have to build a portfolio of quality images to advertise your services. Today I'm introducing the real estate photographer's starter pack. It gives you three products for one REALLY REALLY good price to help you start out your real estate photography business on the right foot. 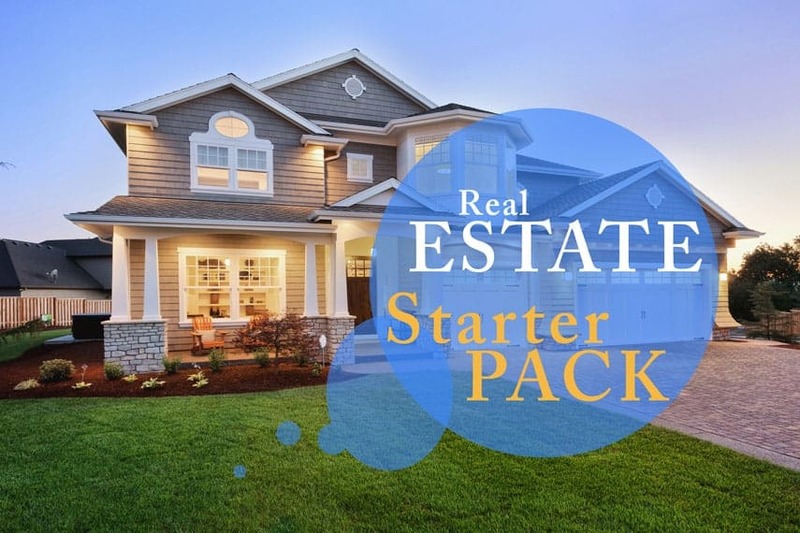 What's included in the $15 Real Estate Photographer's Starter Pack? Using this contract does not create a lawyer-client relationship between you and Improve Photography LLC. Improve Photography LLC is not a law firm and does not offer legal advice, only legal information and templates that photographers may choose to use. Seek the advice of a licensed lawyer in your jurisdiction before making business decisions. Second, you'll get 10 Lightroom presets that are custom made specifically for real estate photography. These presets are designed to make a home look bright, clean, and airy, while also helping the photographer to manage high dynamic range situations where the windows are open in a room. These 10 Lightroom presets can be brought into Lightroom (install instructions are included) so you can apply these 1-click presets to your real estate photos. You'll get presets for fixing the yellow incandescent light in most homes, presets for the making the blue hour exterior shot look perfect, presets that analyze the lines on the walls and straighten them for you, and more. This alone could save you hours and hours of post-production time in your real estate photography shoots. Third, you'll get the pricing template sheet that I use for real estate photography. It's a simple word document with sample prices included that you can send to a real estate agent who inquires about hiring you. If you have doubts about what to charge or what packages to offer, this can save you a big headache. It's a simple word document, but may save you a lot of time in making your packages, and you can customize it easily to change prices or services to your liking. If you have any trouble downloading your order, you can always email us at [email protected] After download, please be sure to backup your purchased item so that you don't lose it if you ever have computer trouble in the future. Why is this only $15?!!?!?! I have always worked really hard to make the products we offer on ImprovePhotography.com reasonably priced for ANY photographer–even new photographers. That starts with our completely free photography workshops that we do with readers of Improve Photography all over the world, and extends to our video courses and products like this. I like the feeling I get from helping people to reach their potential as a photographer without breaking the bank. Do the Lightroom presets work in my version of Lightroom? Probably! They work on any version of Lightroom from Lightroom 3 to the current version (Lightroom CC). So unless you're using an EXTREMELY old version of Lightroom (Pre-2010), they'll work just fine.